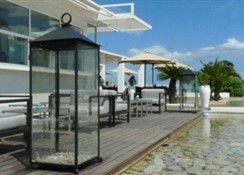 "The Mövenpick Hotel Gammarth Tunis, is overlooking the Bay of Gammarth, is situated on an unspoiled sandy beach. 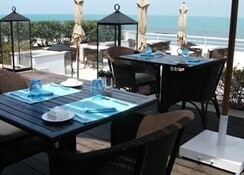 It offers breathtaking views of the hills of the famous and lovely white and blue village of Sidi Bou Said". "The Gammarth coastline offers sublime panoramas, turquoise seas and gentle rolling hills. With its beaches, countryside and archaeological sites this region near the capital Tunis offers a great variety of sporting choices in a warm Mediterranean climate.On the hotel's premises you can enjoy 2 tennis courts.The Mövenpick Hotel Gammarth Tunis offers a modern spa featuring a fitness centre, indoor pool, jacuzzi, sauna and massage room." 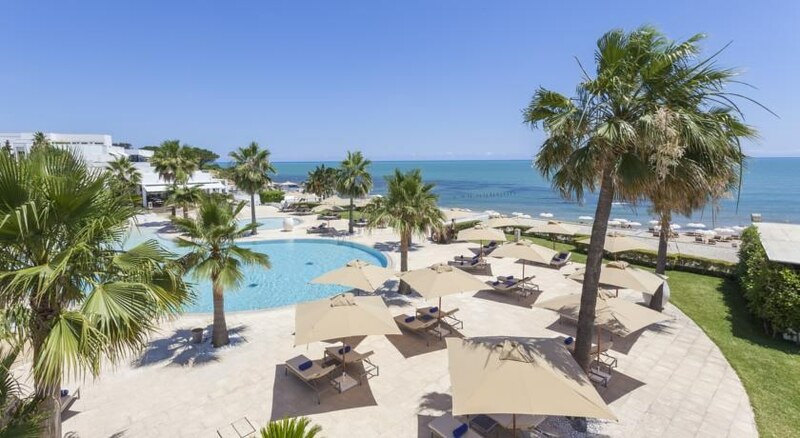 "The Mövenpick Hotel Gammarth Tunis is located right on the beach and overlooks a magnificent bay. In the heart of a high profile residential district our hotel is surrounded by gardens and offers stunning views of the sea and the hills of Sidi Bou Said. 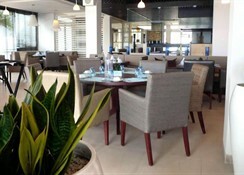 The hotel is just 15 km away from the capital and 10 km from the Tunis-Carthage international airport." 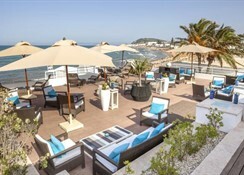 "This ideally located hotel offers a total of 117 elegantly furnished rooms with an amazing view of the bay of Gammarth. These rooms include 102 Executive rooms, 2 Presidential suites, 5 Ambassador suites, 2 Junior suites and 6 Deluxe rooms. There are 2 rooms for physically challenged guests and 27 non-smoking rooms.All rooms and suites have a private terrace, individual air conditioning/heating control, direct-dial phone/voicemail, minibar, tea and coffee-making facilities, LCD flat screen TV with international satelite channels and a personal safe. 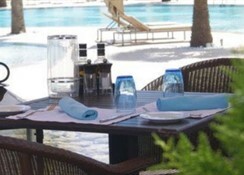 WIFI internet is accessible in all guest rooms and throughout the public areas of the hotel." Distance to the beach 0 km. Distance to the airport 10 km.